In The Previous Post, you know how many types of YouTube ads and what they are. Take a look at those who did not see the previous post. 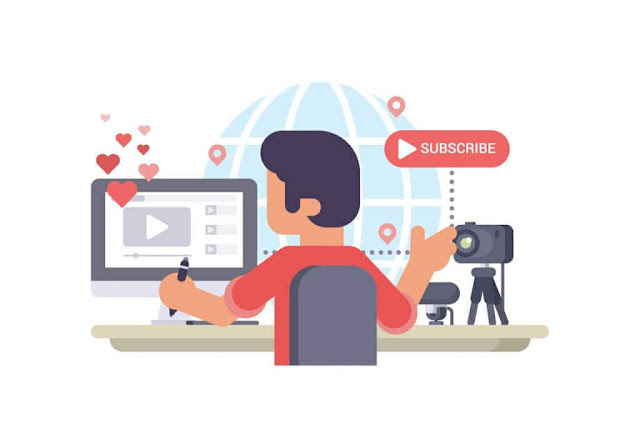 In today'ss post, you can find more information about YouTube's different types of Ed, which ads are good for you, profitable, maximum ad in your video, CPM and CPC keys. As you can see in the previous post, YouTube Ad is basically 8 types. Now, everyone has questioned the question of how much the value of this type 8 Ed There are 8 types of add-ons on YouTube that have unique features, so the values of these ads are different from each other. There are always many questions about how much the price of YouTube ads An important thing here is that anyone can not tell the value of YouTube ad because it is constantly changing because the price of YouTube ad Ed's value is not always the same. As a result, YouTube's income is different for each month. The value of YouTube advertising depends on a number of factors. These are. In general, advertisers provide advertisements in exchange for a certain amount of money to Google AdSense. I also said that YouTube does not collect any ed, but collects ed from Google Adsense and displays it on your uploaded video. Because YouTube is not a video viewing website, Ed Collection platform. But the Google Adsense Hall ed collection platform. So YouTube collects ed from Google Adsense and displays it in a monetized video. Advertisers pay their edits on behalf of Google Adsense for payment of money. If advertisers have their Adsense ads paid for a lot of money (for example - $ 5/1000) then Adsense will deduct some amount from the money and the rest will give you. That is, advertisers pay as much money as you can to Adsense, the more money you get. But if the advertisers have paid Adsense for a small amount of money, then you will get less money. In general, advertisers pay the most for ads in advanced countries (such as United States, United Kingdom). As a result, most of the countries of these countries are earning. On the other hand, in developing countries (such as India, Bangladesh, Nepal), advertisers pay the least amount of money for ads. As a result, YouTube users earn less income, but if the channel becomes popular and it is too much video view, then developing countries can earn very good earnings from YouTube users. How much you can earn from the ads displayed in your video depends on one more thing, that is the viewer's location. When advertisers give their ads to Adsense, advertisers get a benefit from Adsense. The advantage is to set the location of ed. That is, the advertiser ad will determine which countries to view. This means that the advertisers who have been allowed to view the add-ons for your video viewers will see only those edges. 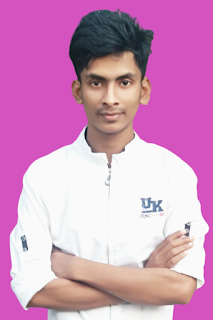 For example, let's say, an advertiser in the United States told Adsense that if he wants to keep his ed on all the viewers or viewers of the United States and Bangladesh, or just for the viewers of Bangladesh, then the Bangladeshi viewers will see this ad in your video. And since the advertisers of the United States pay the most money for Ed, so your income will be high. But Bangladeshi, advertisers pay less for the ad, so when you view the ad in your video from Bangladesh, you will earn less. If your video is in English content, and if the viewers of the developed countries see this, then your income will be high because the viewers of those countries will see their country's ad for which advertisers of these countries are paying more to Adsense. In total, the amount you earn from your channel depends on your content viewer's location. Your income also depends on the type of add-on you have on your video. As I mentioned in the previous post, YouTube Ed 8 Type The 8 types of add value also have 8 types. For example, display ads are less than any other ad. Again, overlay ads are worth more than display ads because viewers have to click add to see ads. But if the viewers want to add the ad to the cross mark, then it can cut the ad, ie, viewers have no obligation to view the ad. As a result, if the viewer cut the ad without clicking on the ad then you will not get any income. On the other hand, the skippable video ad is an ad which is very popular and its value is much higher. Viewers can skip after 5 seconds of view. But for this type of ad, you will be paid only when the viewer ad will be 30 seconds or complete. If the viewer skips the ad after watching 5 seconds you will not be paid. Again non-skippable video ad is worth more than Skibble Video Ed. There is no option to skip the ed edges and viewers can not see the content if the ad is not full. So if you add the ad to your video then your income will be high. If you do not see your video being bored for viewer ads, then you will not get income. Moreover, you can add to your video Bumper ad and Midroll ad. Bumper Ed is a 6-second long non-skippable add-on because your income will be slightly higher because non-skippable ed is the highest price. Again midroll ad type 2 - Skibble add and non-skip bailed. So your income from this type of ad will be much more. Which kind of ad is good for you / profitable? See which type of ad is good for you / profitable, depending on what kind of video you upload to your channel. If your video is less than 10 minutes, then you can use Display Ad, Overlay Add, Skibble Ed, and Non-Skippable Ed. If your video is 10+ minutes, then display ad, overlay adds, midroll adds, and bumper adds appropriate for you. Get your income from YouTube through Ed. The more you add to your video, the higher your income. But it will bother your viewers so that they can not see your videos in the future. If you do not see the viewer, you lose it. So you can add as little as possible to your video. If your video is less than 10 minutes or less, then add any two ed to your video from Display Ed, Overlay Add, Skibble, Ed and Non-Skeptical Add 4 Ed. If your video is 10+ minutes again, then add any two ed to your videos from Display Add, Overlay Add, Midroll Ed and Bumper Add A4 Ed for you. If your video is 1+ hours long then you can add 3-4 ads. YouTube users who upload 1+ hour long videos on YouTube, they have display ad, overlay adds, midroll ad, and bumper adds 4 ed in the video. In the previous post,t I said that there are 8 types of add-ons on YouTube that area Native mobile ad. But this option is applicable only for some popular UT users. This option does not get you on YouTube until your channel is one of the popular channels of 1st row. Because the Native Mobile Ed option on YouTube is not open to everyone. Only popular channels that have a large number of video views, this type of ad service is only turned on for those channels. In today's post, you were about to tell CPM and CPC. But due to the shortage of time, it is not possible to talk about CPM and CPC today. In the next post, we will discuss CPM and CPC. Stay with us.